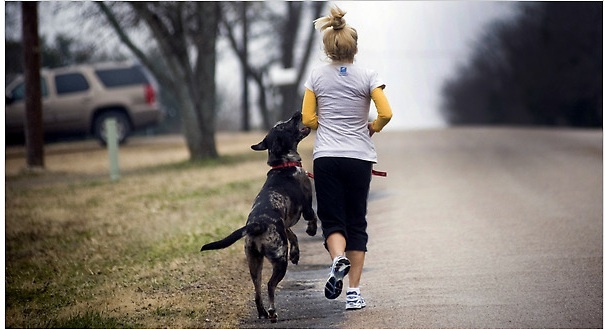 Anyone with a dog who also happens to run invariably gets the question: Why don’t you run with your dog? (Translation: My what a crappy dog owner you are!) If you’re lucky, you have a dog who loves to run with you and doesn’t try to herd you, or drag you into traffic. The rest of us discover pretty quickly that not all dogs are great running companions. (I have a mutt with a lot of Rhodesian Ridgeback in her, which means she would much prefer to run down every squirrel on the path than run down the path itself) So: My story in Thursday’s Style section. A Best Friend, Yes. Best Runner, Maybe Not.